Shakespeare’s magical and mysterious spirit of the air, Ariel, is portrayed by Sally Beamish’s own instrument, the viola, in a companion-piece to her ballet The Tempest. 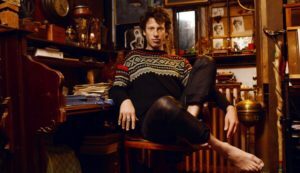 The still air of a moonlit night is captured in Beethoven’s septet and in Sam Lee’s very personal re-workings of traditional folksong. Beethoven also provides earthy rustic dance, and Schubert’s famous Trout swims through a heady champagne fizz. Beethoven – Septet op 20.